Calm Serum, now doesn't this sound like something we could all do with sometimes? Wouldn't it just be fantastic if we could literally add something to our face that would in fat calm every little thing about us? Well i know for sure if that was the case I would be buying them all the time! Today however, we are going to take a look at a product I have been using for a few weeks now in my daily morning skin routine even replacing a primer with this bad boy lately and it is the BRYT Skincare Calm Serum. I actually missed the launch of BRYT skincare which only launched in Ireland within the last couple of months but have seen the colourful packaging of the brand and great reviews all over social media. Let's take a look at the product itself. Aromatherapy meets Phytoscience in this breakthrough collection of products, ideal for those who appreciate natural, yet high-tech skincare. 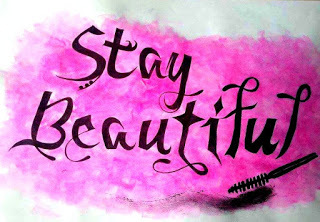 BRYT Skincare contains a blend of sophisticated botanical ingredients beneficial for all ages, but in particular teens and young adults with evolving skin. BRYT Calm Serum, €24.50 30ml, has been specifically created for combination to oily skin, and is also ideal for temperamental younger complexions. Formulated using skin-balancing active ingredients that penetrate deep down, the serum helps regulate and normalise the skin, rediscovering its natural equilibrium. A unique botanical blend of Watercress, Nettle and Horseradish work to regulate sebum levels in the skin, while Omega 6-rich Kalahari oil helps renew and regenerate skin cells. Essential oils of Mimosa, Jasmine, Sandalwood and Rose Absolute leave skin calm and soothed, with a sense of wellbeing. 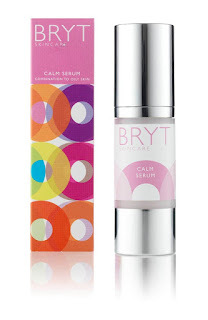 In keeping with the range, BRYT Calm Serum also features the innovative Advanced Phytoscience System (APS), which includes pure Aloe Vera, healing Allantoin and rich ‘superantioxidants’ extracted from organic Australian wild-harvested plums Kakadu, Burdekin and Illawarra – these superfruits contain up to five times more antioxidant power than blueberries. After cleansing with BRYT Cleanse (step 1), put 1-2 pumps of the serum (step 2) onto the tips of your fingers. Gently tap and dab onto the face and neck. Allow a few seconds to soak in before applying either BRYT Day (step 3) or BRYT Night (step 3). So there we have a lot of the info on the product but I always feel it's important that the correct information is given out alongside a review so you can judge for yourself if you feel it is something you would use. I have to say, I really like the product. I like how light it feels on the skin, especially as Ciara from BRYT told me it could be used as a primer, I don't like clumpy primers or products that feel like they are dragging on my skin. As this product is suited to oily and combination skin, I can say that 100% this is suited to my skin type. I am not a dry skinned persona at all, I do suffer with dehydration on my forehead but that is a very different issue to dryness. I didn't find that the calm serum aggravated that at all and my makeup stayed on my forehead without any issue. There is a gentle scent off the product so it's not a problem for those who are smell conscious. At €24.50 for a 30ml and the amount of really good ingredients in the product I would see as seriously good value. It really is a quality product and I think people neglect serums all the time. I would happily [purchase this product myself and I am currently looking into the men's range for my fiance to start taking care of his skin. I have read so many good reports on the men's range I think it would be a great investment. 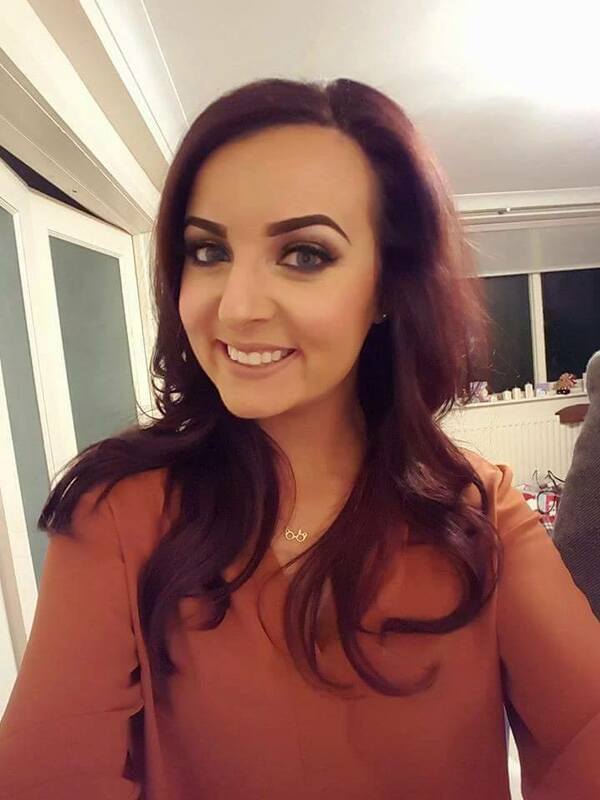 I really wish BRYT skincare the best of look with the continued success in Ireland as I said if you search BRYT skincare now you will see a lot of genuine blogger love for this skincare which can be rare today as so many people are skin conscious and only want the best on their face.